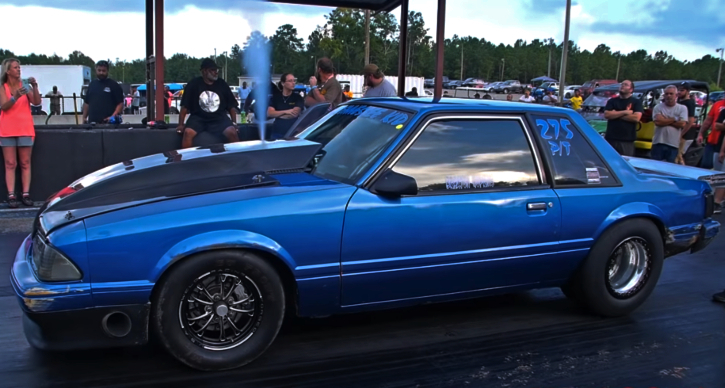 The Tennessee based X275 racer Braxton Hopkins continues to make the drag racing enthusiast happy with his Fox Body Mustang. Although Braxton had a very bad accident back in 2015 when he started his drag racing carrier at the age of 18 few years later he is still out there launching like a rocket with his Nitrous breathing Ford Mustang. Check out the Jmalcom2004 video to see The Tennessee Kid in action at Middle Georgia Motorsports Park and hit the Like button below!